Gail has a passion for building brands and capabilities to meet consumer needs, engaging teams and developing individuals to deliver results. As a creative leader at Whirlpool, she is focused on delivering strategic solutions for a variety of brands, business units and departments. She is also responsible for developing and mentoring multi-disciplined, high-performance teams—overseeing client services, operations and production workflow. 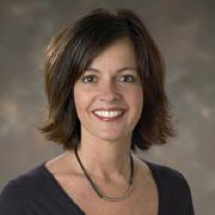 Previously, Gail was Senior Brand Manager for KitchenAid where she oversaw growth strategies, consumer targeting and positioning, insight development and translations, brand vision, equity tracking, competitive assessments, and integrated marketing development and execution. 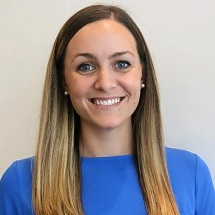 Emily is responsible to advance the premier professional membership association for internal agencies—leading the IHAF program team in the delivery of benefits and thought leadership content to over 250 member companies. Emily is dedicated to cultivating the IHAF community to enhance the influence and impact of corporate advertising and creative services organizations. Prior to her current role, Emily was Program Manager and then Associate Director with IHAF, facilitating targeted research, member events and networking among the in-house community. When Roger joined DIRECTV (now AT&T), he transformed Creative Services into a full-service agency—producing sports, entertainment, revenue and retention campaigns for the nation’s premier satellite provider while developing and executing a competitive brand strategy. He later added an in-house print group to produce multimedia advertising, bolstering subscriber acquisition. For eight years, Roger held a board seat with PromaxBDA, chairing their awards committee. He is an active member of the Academy of Television Arts & Sciences as well as IHAF, with his team named IHAF’s 2017 In-House Agency of the Year. His cumulative body of work has been showcased internationally, garnering over 250 awards. As a connoisseur and an advocate of well-executed brand experiences, Jarrett built her career leading and enabling diverse, multi-disciplinary creative teams. 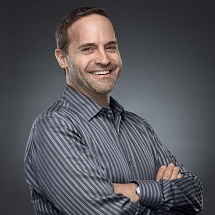 With over 20 years’ experience managing people, projects and processes across a variety of organizations, Jarret has led high-performing teams at Sapient, Georgia State University, WebMD, Philips, GE, Synchrony and The Coca-Cola Company. With an insatiable curiosity for consumer behavior and an affinity for creative collaboration, Jarrett excels at building teams charged with delivering holistic strategies and solutions. 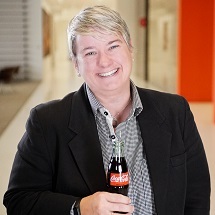 At Coca-Cola Studios, her team specializes in programs aimed at B2B and B2E audiences worldwide. Previously, Jarrett served as VP of Creative for Synchrony, where she led the transformation of a 50-person in-house creative team. Marc is a veteran of both internal and external agencies. A creative director and copywriter by background, he has worked across all channels on numerous blue-chip clients including American Express, HBO, Showtime, AT&T, TIAA, Pfizer, Allstate and others. His external agency experience includes stints at Draft, Wunderman and Digitas before taking his talents in house at Prudential Financial and ultimately assuming his current postion as ECD at Chase. 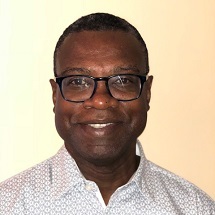 Marc is a member of the Financial Communications Society and an alumnus of the 4As MAIP program, continuing to serve as a mentor for young people who aspire to get into the business.